Feel the Force at Star Wars Weekends 2011! While Disney Imagineers continue to help create the newest Star Tours adventure at Disneyland and Walt Disney World Resorts, plenty of Jedi, Wookiees and droids (oh my!) are gearing up for Star Wars Weekends, the annual celebration of all-things-Star Wars at Walt Disney World Resort. And today you can start making your plans to journey to a galaxy far, far away and step into the Star Wars saga, as we officially announce this year’s event dates for the first time. Star Wars Weekends 2011 will be held at Disney’s Hollywood Studios every Friday, Saturday and Sunday from May 20-June 12. The event features one of the galaxy’s largest gatherings of Star Wars characters all around the theme park, offering photo and autograph opportunities (I mean, c’mon – where else can you ask the Dark Lord of the Sith, Darth Vader, for his autograph??? Just don’t ask him to smile for your photo). There are special Star Wars parades, trivia challenges, Jedi Training Academy, limited-edition merchandise and memorabilia, behind-the-scenes presentations, star conversations and more. Star Wars celebrities make special appearances in talk shows and grand motorcades, and sign autographs throughout the weekend (here’s a tip: make sure you’re at the theme park first-thing in the morning to secure a spot in one of the celebrity autograph queues for that day). Anthony Daniels, known worldwide for his portrayal of everyone’s favorite protocol droid, C-3PO, will return this year for Weekend 1 (May 20-22) and Weekend 2 (May 27-29). Trivia fact: C-3PO (or “See-Threepio” as many fans remember) is one of the few characters to appear in all seven Star Wars feature films. 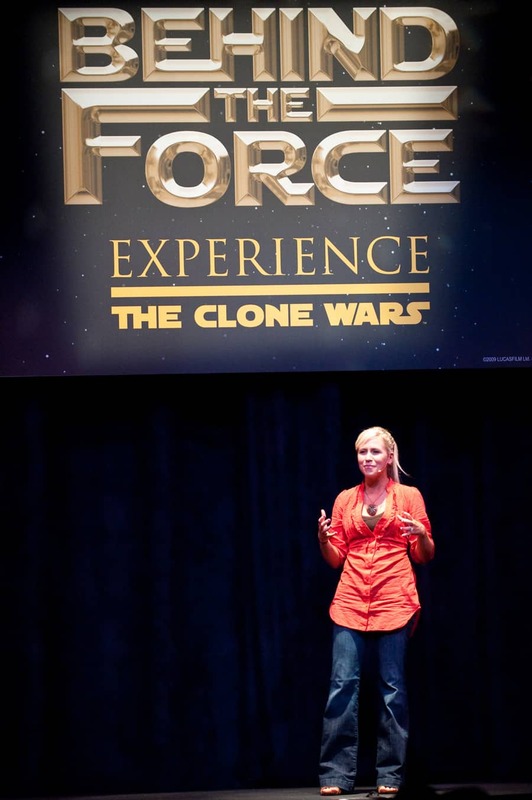 Ashley Eckstein (pictured above), the voice of Ahsoka Tano, in “Star Wars: The Clone Wars,” will appear each weekend this year as Celebrity Host of a behind-the-scenes talk show entitled “Clone Wars: Behind the Force.” Ashley is no stranger to Disney’s Hollywood Studios. Ashley, who grew up in central Florida, had one of her first show-business roles as a parade performer at the theme park. More plans to come, so keep your comlink set to the Disney Parks Blog! Share Feel the Force at Star Wars Weekends 2011! I would also like to know the time of the parade! When time are the Star Wars Parades scheduled? Mike, Star Wars Weekends has been held at WDW for over a decade. Specifically DHS since it is the “movie” park. Jamie, I couldn’t agree with you more about Raiders of the Lost Jedi Temple of Doom. It really was a fun show and a good change of pace from the the Indy show that we all know. Would it be that much trouble to include one or two showings throughout the day? The SWW version of Millionaire was always fun and adding this show would definitely be another good SWW activity. Why is it only being held at Disney World? 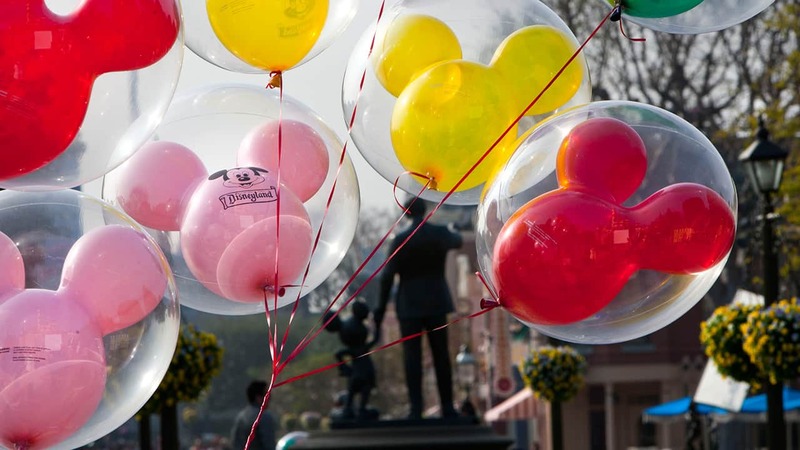 Considering George Lucas lives in California, shouldn’t it be at the Disneyland resort? Or at least have it at both parks. My question is, is Disneyland going to also celebrate Star Wars Weekends May 20-June 12th? I am reading that it only happens at Walt Disney World. Before I buy tickets for this date, I would like to know. when does star tours become functional? So excited! My son is a huge Star Wars fan and we have our first Disney trip scheduled beginning on June 8th! I’m arriving at May 31st, this is my second time attending, hope I rub elbows with any of the celebrities that weekend. Awesome! My boys are big Star Wars Fans and will have a blast! When is this coming to the Disneyland Resort? My son will be so excited! We arrive in the world on May 20th. Wow, Thank the Maker! 2nd SWW trip and we hit the jackpot! This year is going to be awesome. Thanks for announcing the dates! Star Wars Weekends is one of my family’s favorite Disney World Special Event. One request: PLEASE bring back the “Raiders of the Lost Jedi Temple of Doom: A Fan Film of Epic Proportions” show that was presented at the LAST TOUR TO ENDOR Celebration and make it a regular part of Star Wars Weekends. The show was fantastic and it would be a shame if more people did not get a chance to see it! Great we arrive on May 21st – our son’s are going to love this! Went a few years ago and spent two days getting our photos with as many characters as we could with the photopass photographers. It was great. We ended up buying the photo cd. Loved the parades and the talk show, too. Will make it at least one weekend this year. Now I have to make a tough decision, first for Anthony Daniel’s autograph or first for Star Tours. We dress up every year..but leave the masks at home…they are not allowed…(my son has been both plo koon and Boba Fett, but no masks allowed inside park. It is totally fun! does anyone know if we (adults) can dress up during this? Awesome, would be a great graduation present to spend the week there. Ashley is a great host! Glad to see she will be back. I hope they have C-3PO walking arund again and taking to people and posing for pictures. He was COOL!!!!! that’s so cool, we are over visiting LA at the end of May and are huge Star Wars fans…wonder who we might meet?? STAR TOURS 2 is gonna make this year’s SWW’s so much better!